Shoulder and thigh-straps differentiated by a dual color scheme. 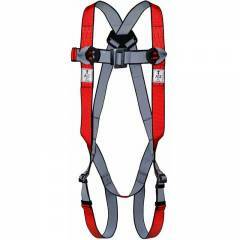 Harness does not stretch dangerously when subjected to fall. Wearer does not risk slippinh out of the harness.